Yes I know it has been ages since I posted on this blog and I apologise. Real life and taking up running has meant my priorities have been elsewhere but I do have some techie posts coming up shortly (I promise). 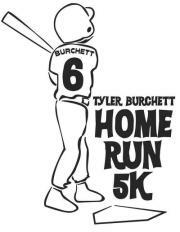 So I’m almost ready to run my first 5k Run on Oct 29th in aid of Tyler Burchett, the son of a work friend who suddenly became paralyzed through Myelitis a couple of months ago. The run is a fundraiser to help support the family with medical bills and home modifications. If you are a runner in the Columbus,OH area and want to run a 5k to support a local family then there is still time to sign up at the official race page – all the race fee’s have been covered through corporate sponsorship so your race fee goes directly to help the family. If you subscribe to my feed here, my IRL and Facebook status, I apologise for sending this out multiple times. Congratulations to Deanna who won the drawing for $30 of Kroger gift cards thanks to the Kroger Family of Stores and General Mills through MyBlogSpark as part of the Pound for Pound challenge. So far I’ve lost 5.5 pounds so I have a way to go to reach my goal but I’m getting there. In a somewhat different blog posting (but don’t worry this isn’t going to be a regular event) I have a giveaway for one of my readers. Kroger is one of the sponsors for the Pound for Pound Challenge – a US wide version of the Biggest Loser. You can go to www.pfpchallenge.com/kroger to sign up and pledge the amount of pounds you will lose by the end of June 2010. For every pound pledged, 14 cents will be donated to Feeding America which is enough to deliver one pound of groceries to a local food bank. Anyway, as part of the event I will have a $30 gift card to give away to one lucky reader – just leave a comment on this blog post and one lucky winner will be drawn at random on the 26th June (contest closes midnight on Friday). I’ll contact you via email to get your address details so please ensure your email is correct (it will not be displayed on your comment). If you do pledge for the pound for pound challenge then please include this information in your comment but it’s not a strict requirement. The Kroger Family of Stores gift card, information, and giveaway were all provided by the Kroger Family of Stores and General Mills through MyBlogSpark – a service that provides access to review new products, services and survey entries – and occasionally giveaways to your readers – hence this post. Contest not applicable to family members. Update Congrats to Deanna who won the competition, replied with her details and the gift cards are on their way. It’s that time of year again when we have to renew the tags on the car. As we’ve had a shuffle around of the cars and I now drive Kristen’s old car,I now have the chance to choose the number plate again. It is amazing how many techy/geeky options have already been taken. The funny thing is that entering reb00t as a number plate gives the error message “Your request has been found to be inappropriate, you have entered too many characters or your plate request has been found inappropriate due to its meaning.” I’m not sure what is inappropriate about reb00t (reboot was already taken). Some of the suggestions that we came up with were bloggr (I can’t get blogg3r back as I guess it is still in the system from the old car even though I actually have the plates themselves already), iblog, googlr, ktxbai, igoogle, wonky, havepwd, r3boot, form4tc and hey up. As part of my effort in trying to improve my photography skills I have set up a PicADay set in Flickr. The most efficient way to view these photos is with an RSS reader but unfortunately Flickr doesn’t easily provide the links for the RSS feed. However by installing the Flickr RSS greasemonkey script you get one click access. Alternatively you can create an RSS feed using the Yahoo Pipes interface and a nice web page builder kindly provided by alto maltés. The end result is my PicADay RSS feed. I have include these pics automatically on Absoblogginlutely! – IRL but for this I used the Flickr Widget (unfortunately the authors website is broken so there is no point in linking to it). I woke up early this morning (3am!) and it was light outside – not sure if it was the brightness in the room or the cheese I had at the works Christmas do last night. It had snowed overnight (and still continues to snow). After about an hour lying in bed I got up and caught up on some blog reading and patched some customer servers and did some reboots. I then went into work early to beat the mad traffic rush – I’m glad I did as one guy took an hour to drive his normal 3 minute route to work! This is now the fifth (I think) Thanksgiving celebrated in the States. It’s a funny holiday as part of it is so traditional with the relatives around, Turkey dinner and the listing of things that we are thankful for (and the football game) . Kristen’s brothers and family are up for Thanksgiving which is cool, Brian’s daughters have been keeping us amused with Kate’s love of spaghetti and attempts at clicking her fingers and Mia’s pride in the pink cake we had last night and it was cute when she couldn’t wait to give me the pretzel they had brought from the mall (and waited patiently for her tip – a piece of Kristen’s pretzel). I’m really thankful for the 4 day break as I need some rest and a chance to recharge my batteries. No studying will be done this weekend.